Diners at the Savoy Grill in the 1960s. 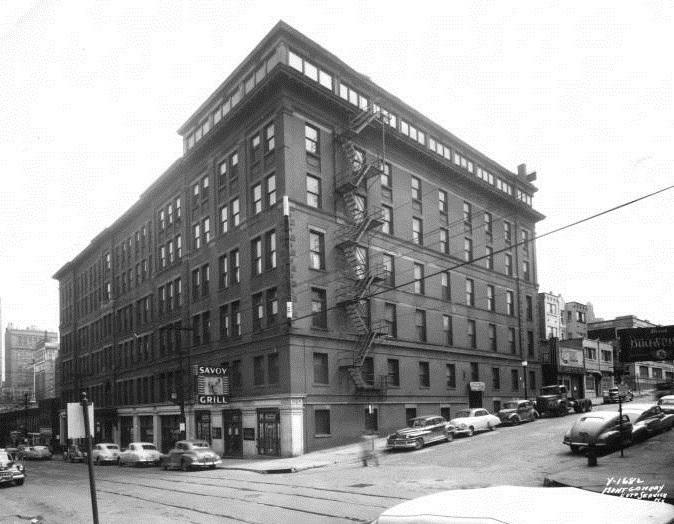 Image from the National Register of Historic Places application. First off, breathe easy Kansas City history buffs. The inner sanctum of the Savoy Grill, that 1903 time-capsule of dark oak woodwork, terrazzo floor, Old West murals and Harry Truman’s Booth No. 4, returns when the $47.5 million renovation of the Savoy Hotel is completed this summer. Yes, the adjoining dining room — a 1960s addition, by the way — is getting a contemporary upgrade, although the original columns, ceiling and floor will remain. But the iconic room that’s a living reminder of Kansas City’s cattle-town glory days of the late 19th and early 20th Century is still intact, and the gorgeous, 15-foot diameter Art Nouveau glass dome in the lobby is being refurbished along with the original tile floor. 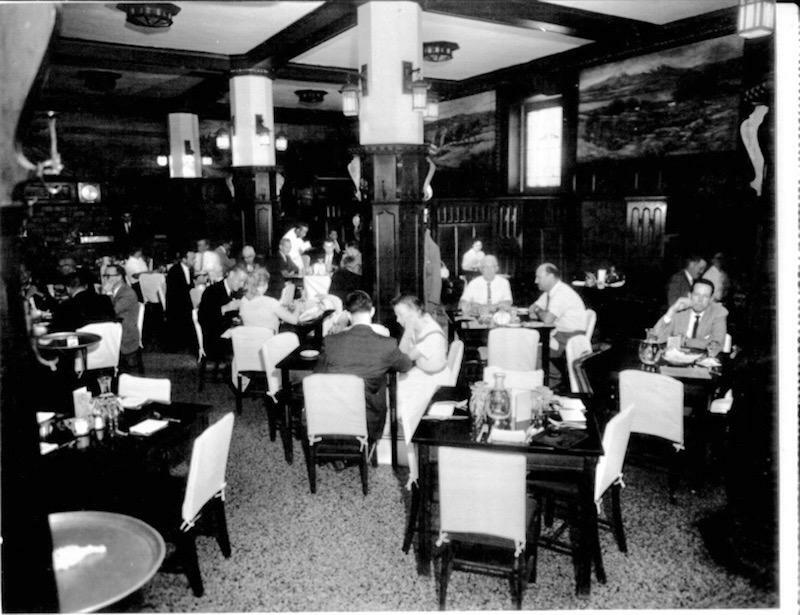 The booths in the former Savoy Grill are being restored, including Harry Truman's favorite No. 4. 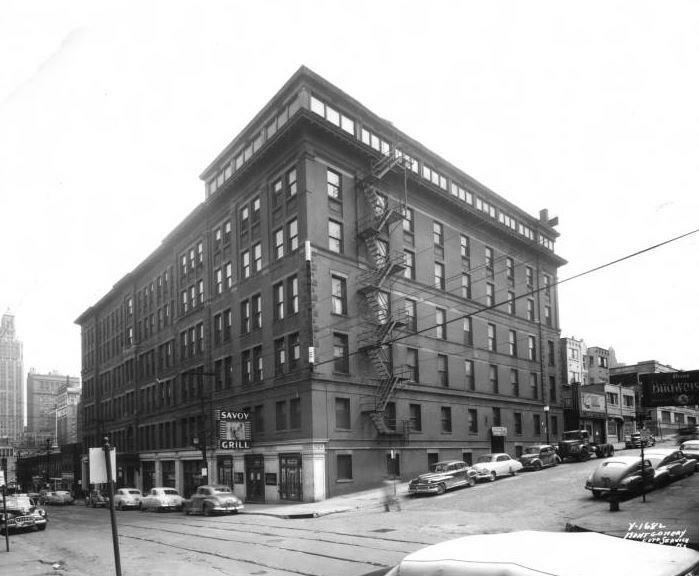 21c Museum Hotel, the new owner and operator of the 120-room historic property at 219 W. Ninth St., is accepting room reservations for August 6 and anticipates opening the restaurant, which is being rebranded as The Savoy, in mid-July. While retaining the historic architectural elements that make the Savoy special, the Louisville-based hotel group is adding 6,200 square feet of exhibition and event space. It will feature rotating fine art exhibits curated by Alice Gray Stites, museum director and chief curator. And chef Joe West says he can’t wait to take diners at The Savoy on a little time trip of his own. West, whose previous experience includes the former 40 Sardines, Bluestem and Stock Hill, says he’s ready to tackle The Savoy. 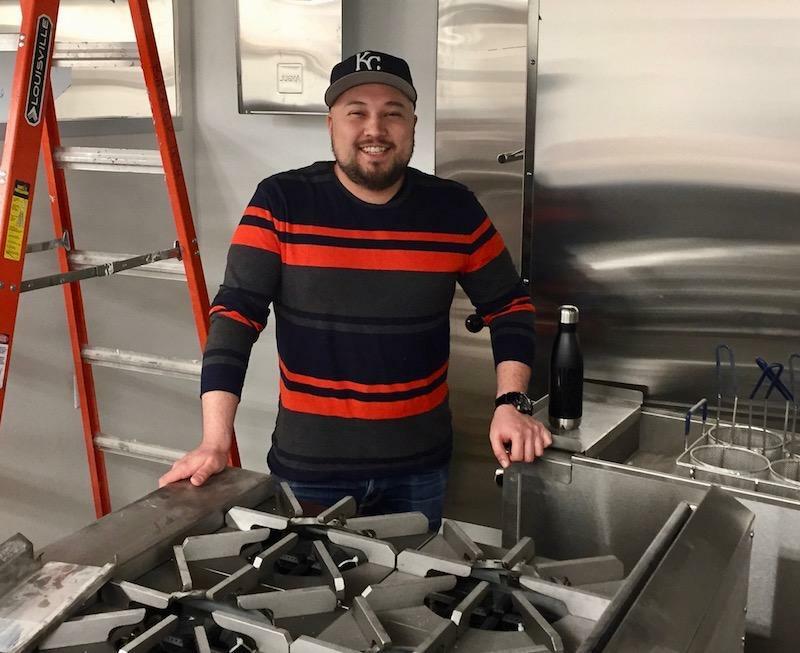 Savoy chef Joe West says he plans to take diners back to mid-century dishes. As a chef, he says, he's been focused on modern dining and imitating other modern chefs around the country. The dining theme of The Savoy will be mid-century: prime rib, lobster thermidor, steak tartare, escargot and chicken a la king. The chef hopes the reincarnated restaurant will attract hotel guests as well as area residents. He expects prices to be moderate, with entrees ranging from the teens to the twenties, and plans to offer plenty of a la carte items. The historic Savoy Grill space will function as a bar and lounge, although meals can be ordered there along with small plates and appetizers. 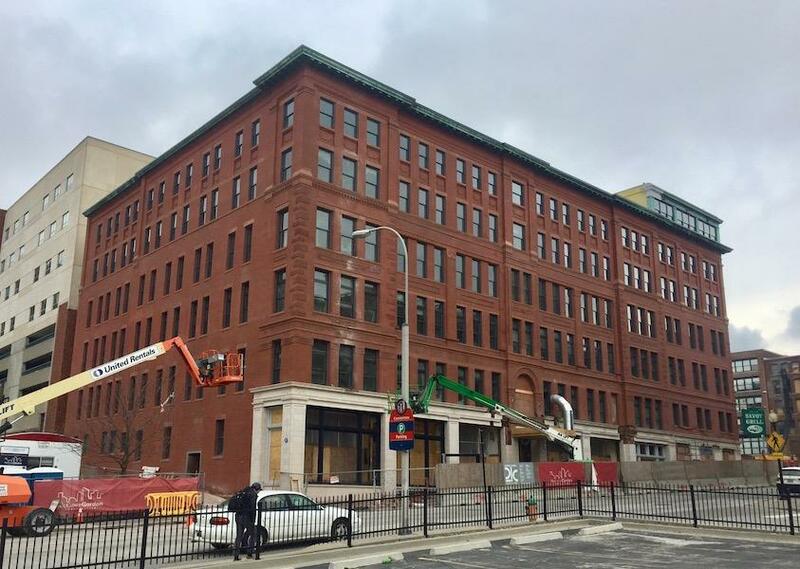 The historic Savoy Hotel is scheduled to open in August after a $47.5 million restoration. Jennifer Petrisko, a spokeswoman for 21c Museum Hotel, says other flourishes at the Savoy Hotel will include a rooftop guest suite with an outdoor terrace, a fitness center, a business center and valet parking. The architect for the project is New York-based Deborah Berke Partners and Hufft Projects. 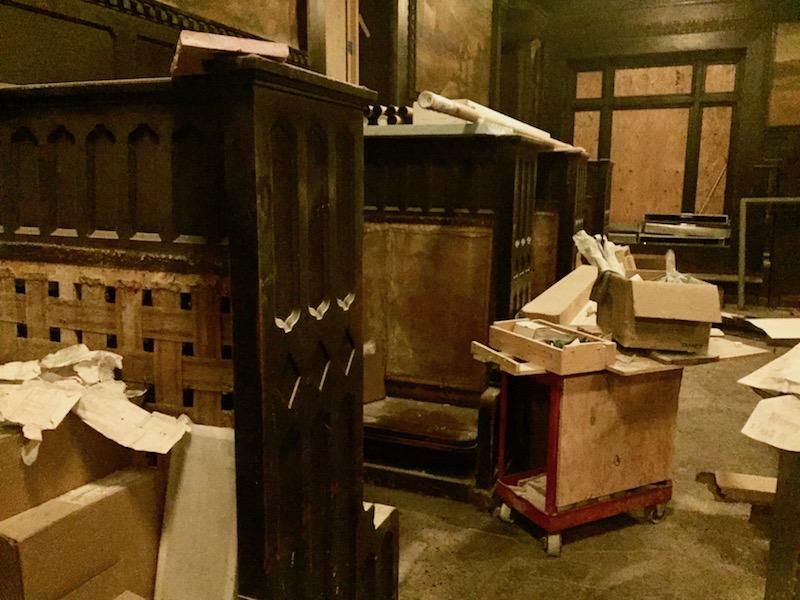 Joe Munson Studios is refurbishing the historic bar, and Tudor Woodworks is restoring other old millwork. Rosin Preservation was the architectural historian on the project. With 150 workers from McCownGordon on site daily and all the associated commotion, the Savoy’s legendary previous guests have apparently checked out, at least for now. “We haven’t seen any evidence of ghosts yet,” Petrisko says. In December, an often-called iconic Kansas City steakhouse shut its doors. The Golden Ox Restaurant & Lounge, which was one of the oldest restaurants in Kansas City, will see new life next fall under new ownership. But what makes a Kansas City restaurant iconic? It depends on who you ask. A fire at the historic Hotel Savoy in downtown Kansas City, Mo., late Thursday damaged several floors of the building, which used to be known as a frequent stop for several U.S. presidents. Firefighters told KSHB 41 Action News that the fire started due to "inattentive cooking" in the Savoy Grill. There were no customers in the restaurant at the time. Residents of the apartments above evacuated without injury.